Drivers who choose hybrid cars do so because they care about the world around them, and we think it’s high time that auto manufacturers start returning the favor! It shouldn’t be surprising to learn that the engineers and designers at Honda are leading the way in this regard. Their hybrid lineup features an array of stunningly equipped, driver-friendly cars, and one new model in particular—the third generation Insight—is attracting a lot of attention from our friends in Hampton Roads. The 2019 Honda Insight’s interior offers all the standard convenience and entertainment features you’ll need to enjoy a satisfying drive, and the Insight’s seats leave little to be desired. Read on to find out what else sets it apart. Easy-to-use and well-designed technology features make the Insight fun for the whole family. As with many vehicles in Honda’s lineup, the Insight’s baseline LX trim level already includes tons of standard features. Its interior components become even more attractive as you upgrade. Satellite-Linked Navigation: Satellite-Linked Navigation lets you depart from the beaten path. The system offered by Honda is a standard feature in the Insight’s Touring trim. You’ll be able to access HD Digital Traffic info, turn-by-turn directions, predictive local search technology, and a 3D view of your environment with pre-programmed voice commands. Mobile Hotspot Capability: When you’re on the road in the Insight’s Touring trim, you’ll find it easier than ever to stay connected to your favorite websites, programs, and entertainment without using cellular data. With a subscription, the Insight works as a fully functional mobile hotspot. 8-Inch Display Audio Touch Screen: Starting in the EX trim, the Insight’s standard 5-Inch Color LCD Display is replaced with an 8-Inch Display Audio high-resolution touch screen. The system uses responsive, customizable button tiles, hard keys, and active knobs to give you superior control over your entertainment and convenience features. Automatic Climate Control: Automatic Climate Control technology allows you to heat or cool the cabin to the exact temperature you specify. Dual Zone Automatic Climate Control, which comes standard on the Touring model, allows both the driver and the front passenger to travel in their own distinct climate zones. Smartphone Connectivity: Bluetooth HandsFreeLink and Bluetooth Streaming Audio come standard right from the start. Those who upgrade to the EX trim or higher can also take advantage of Apple CarPlay, Android Auto, an SMS Text Message Function, and even the HondaLink smartphone app. Available Audio Systems: Each of the Insight’s three trim levels has been outfitted with a different audio system. The baseline LX sports a 160-Watt 6-Speaker System, while the EX has been outfitted with a 180-Watt 8-Speaker version. Only the Touring trim features a 450-Watt Premium Audio System with 10 speakers, including a subwoofer. 2019 Honda Insight 5 97.6 cu. ft. 15.1 cu. ft. 42.3 in. / 37.4 in. No matter where you find yourself seated in the Insight’s cabin, you’ll enjoy plenty of space to move around—and luxurious comfort features are available as you upgrade. Drivers who choose the Insight’s Touring trim will receive a Leather-Wrapped Steering Wheel, Leather-Trimmed Seats, an 8-Way Power Driver’s Seat, a 4-Way Power Front Passenger’s Seat, and 3-level heating for both front occupants. Getting more enjoyment from every drive is easy when you choose a hybrid that has it all! 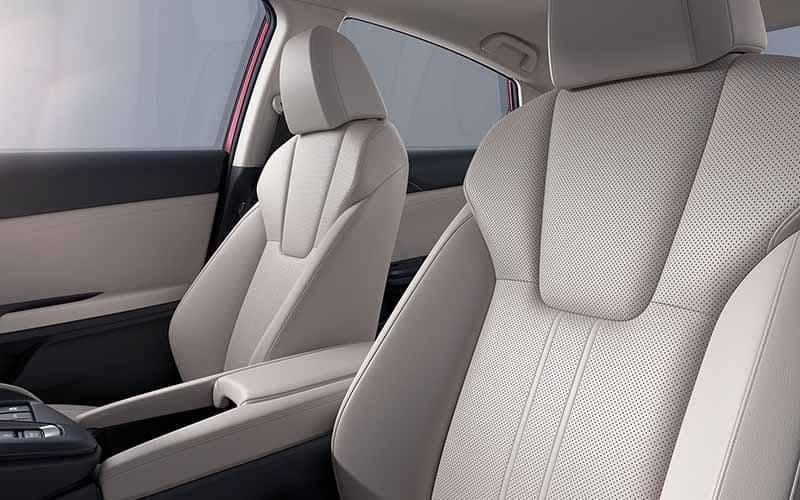 In contrast to many of its competitors, the 2019 Honda Insight’s interior is spacious, well equipped, and designed to make your life easier. You can take this one-of-a-kind hybrid for a test drive at a Hampton Roads Honda Dealer near you, and once you’ve seen our current offers, you’ll understand why Hampton Roads’ drivers want to get behind the wheel. Contact us today to start exploring your options!